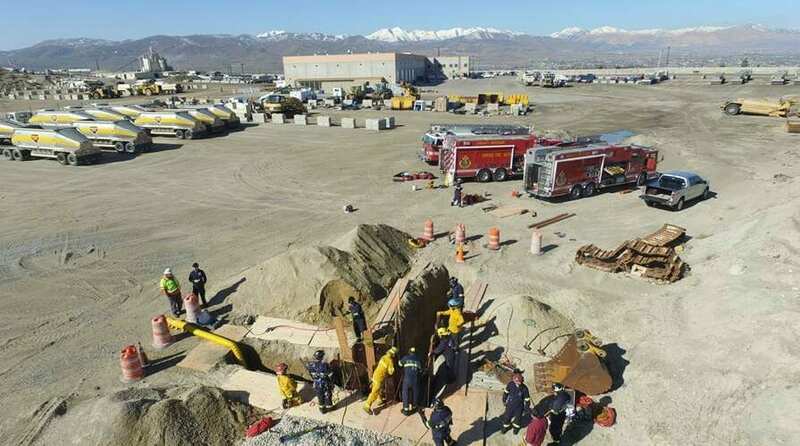 Geneva Rock Products was happy to host the Unified Fire Authority yesterday for a day of firefighting drills and instruction. 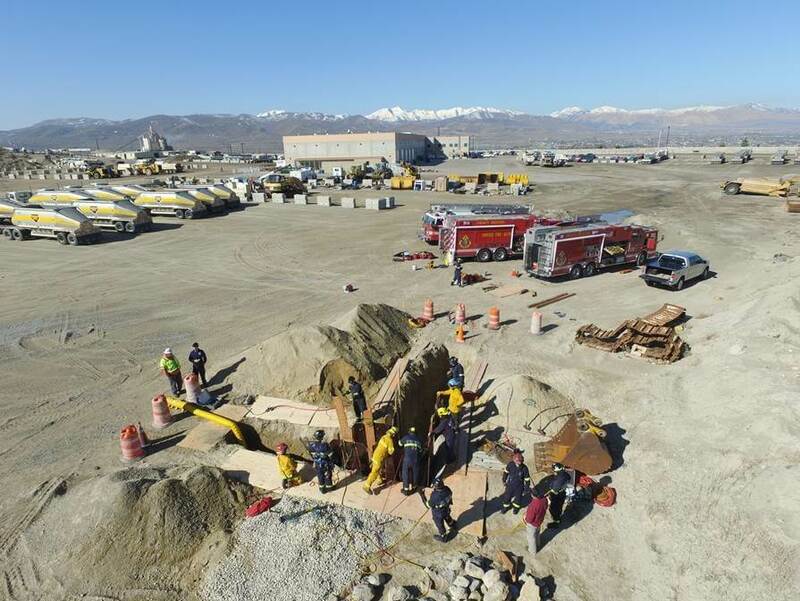 Geneva Rock employees aided in the drills by constructing an 8-foot L-shaped trench where dummy victims were placed in life threatening situations. 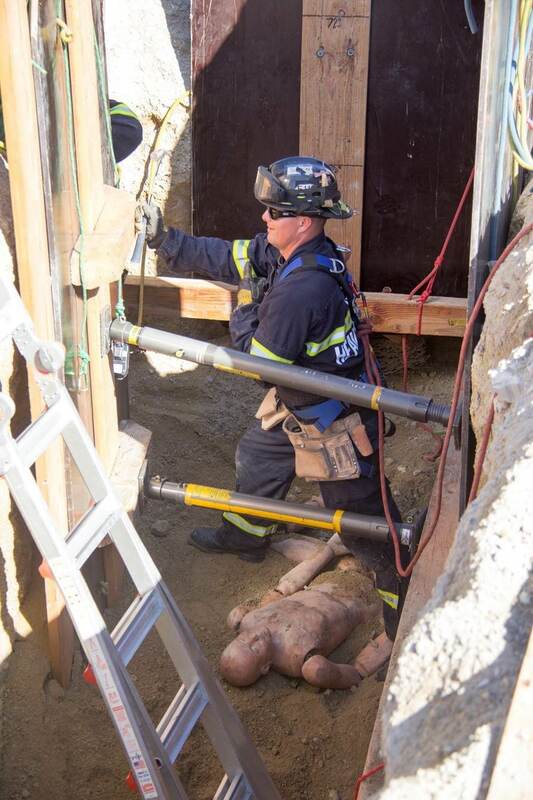 Unified Fire Authority firefighters took turns practicing trench rescues in these mock scenarios. We are happy to participate in projects and events that benefit our community. 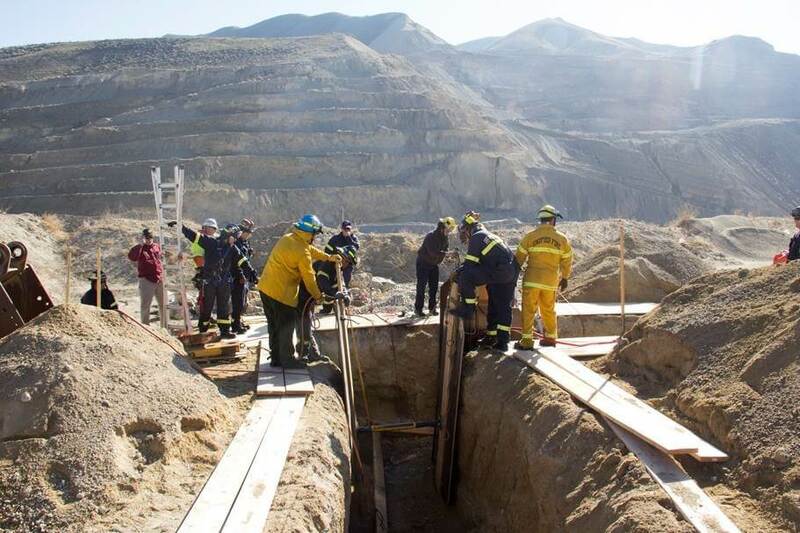 Thanks to Unified Fire for allowing us the opportunity to assist, and to our Safety Department and every employee who spent time working on this project.